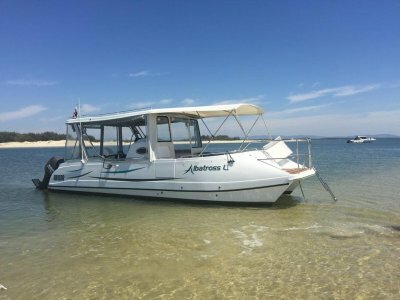 The EVO 660 offers fun for the whole family whether it be fishing, diving, water skiing or just day cruising. 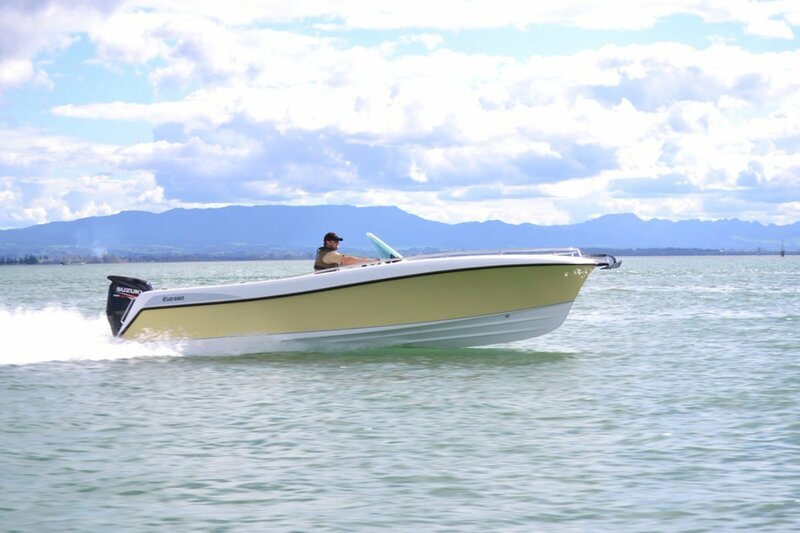 The EVO 660 is a production powerboat which responds to the demand in the recreational powerboat market for a boat that is safe, soft riding and seaworthy whilst keeping fuel consumption to a minimum. 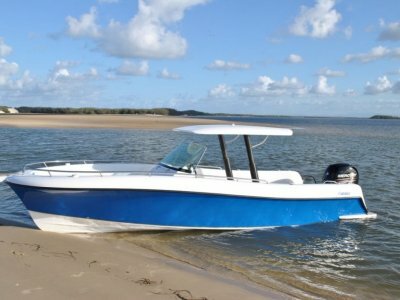 The EVO660 boat features an efficient low drag hull form that allows fuel consumption to be kept down. The unique central pod arrangement enables the E660 to be more functional whilst improving comfort on the water without closing the space in and allows for unrestricted visibility. The Evo 660 has three options. Open, Fixed Top or Electric T Top. The EVO 660 can be powered by the Motor Brand and HP (100 HP to 150HP) of your choice. A double axle Australian built trailer is also available. Call Bosuns Locker to discuss options and other questions you may have. Starting from $54,990 makes her an attractive and unique all round vessel. 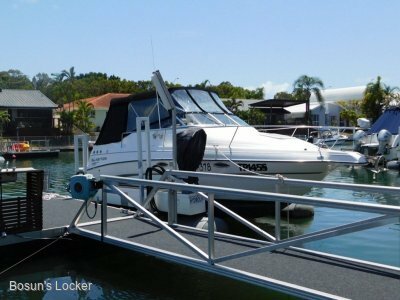 The EVO 660 has beed designed for Outboard engines ranging from 100HP to 150HP engines. We have prices avaialble on request for 4 stroke engines of your desired brand. (Mercury, Yamaha, Suzuki etc) fitted with Hydraulic Steering. Packagages can be arranged for your desired needs. Double Axle trailer - Australian Built can be optioned for an extra $5,499 INC GST. 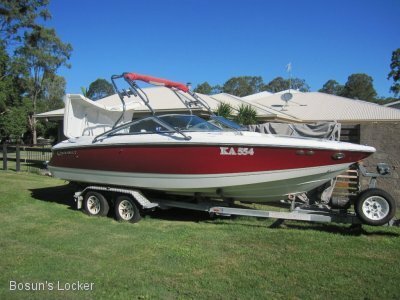 Starting from $54990 includes electric roof with an open hull layout only. One fully optioned vessel is located at our Marina.